When the first runners crossed the start line of the inaugural 20km of Brussels in 1980, none of them knew they were writing a small chapter of the city’s history. And when the 40th edition takes place on 19 May this year, 49 of those pioneering athletes will be there once again, taking part in a run they have competed in every year since. In the late 1970s, running wasn’t the popular lifestyle activity it is today, and race founder Carine Verstraeten of the Syndicat d’Initiative-Bruxelles Promotion (SIBP) faced a struggle getting the authorities to agree to the event. An early police stipulation was that the roads would have to remain open to vehicles, with runners sticking to the pavements and waiting at each set of traffic lights. But an agreement was reached, and on 8 June 1980, the first 4,659 runners set off from the Atomium. 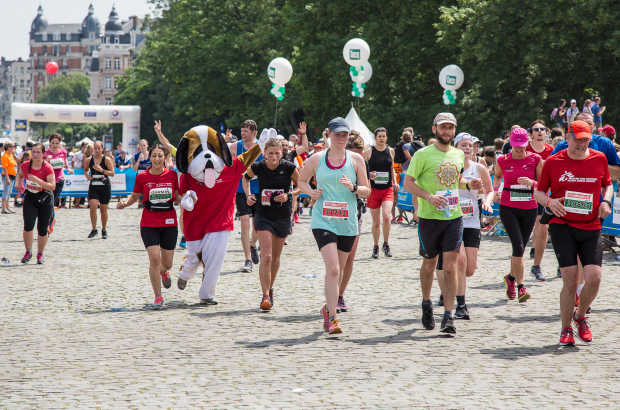 Ever since then the course has begun and ended at Cinquantenaire park, with the finish line beneath the famous arches, but little else has changed – and that’s how Verstraeten likes it. I ran the very first one, and others after that. The inaugural one was fun, from the Heysel, and not the circus it has become now.